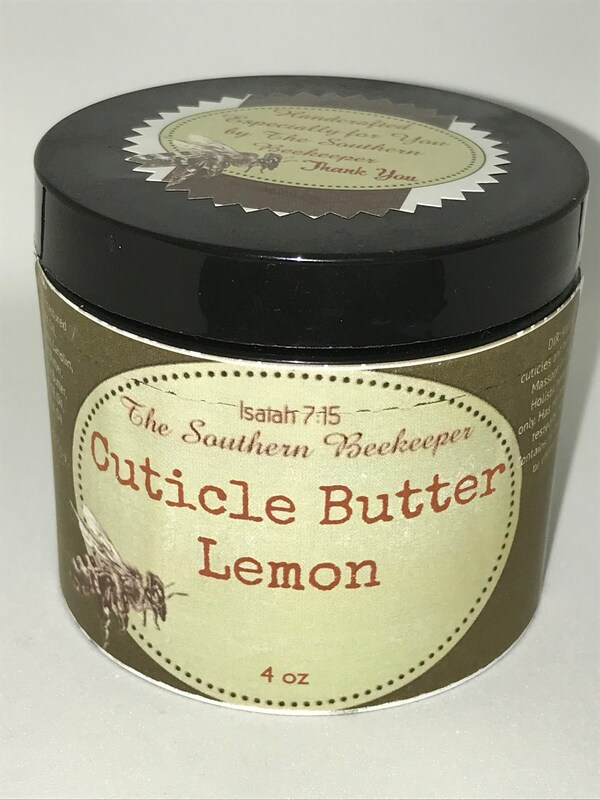 This cuticle butter is made from Fractionated Coconut Oil, Lanolin, Lemon Butter, Tamanu Butter, Beeswax, and lemony Essential Oils, giving this butter its wonderful lemon scent while making it ideal for softening your cuticles and strengthening your nails. Ingredients work fast as it absorbs into your rough and dry spots. Lemon butter softens skin, strengthens nails, and fights wrinkles, while tamanu butter has anti-inflammatory and antibacterial properties to assist with healing damaged cuticles. Massage into fingers and nail beds to heal dry and damages skin, hang nails and damaged fingertips. Does absorb quickly and penetrate cuticles well. Does smell nice. Don't know if it strengthens nails, but it applies nicely and is a big size (good value).